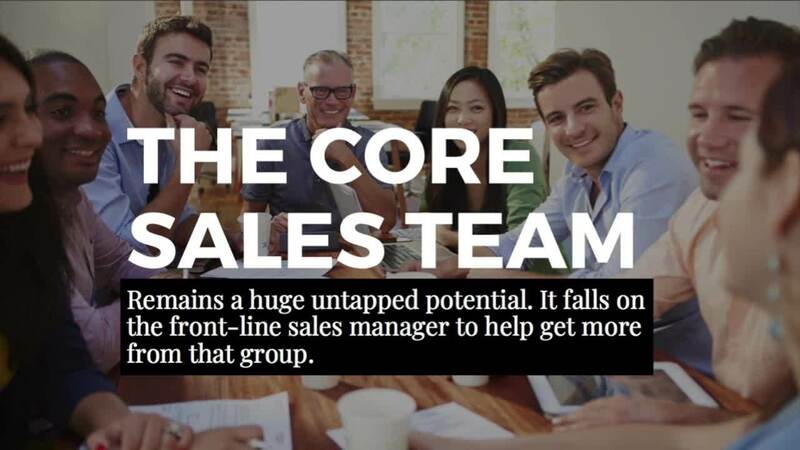 However, if we were to ask a group of sales professionals, we’d likely hear a dozen different definitions. Many will talk about revenue or making better use of time, whilst others will agree that the focus should be performance against goals. I’d have to agree with the latter. For me, sales effectiveness is results driven. It’s not so much what we do or even how often. It’s ultimately tied to outcomes - how successful we are with our actions. It’s that old adage of quality over quantity. Are our actions procuring the best results? And to know this, we need data. And really good data, at that. Businesses are facing a tougher sales environment than ever before. With a buyer dynamic that has fundamentally changed and a fast-moving digital landscape, it’s hard to keep up with what works and what doesn’t. From our conversations with sales leaders, (we recently conducted a survey into the use of new tech & data within Sales. You should check it out!) it’s clear that sales leaders are hungry to understand what it takes for their teams to win. But having poor or limited access to accurate data is making this task very difficult. For example, according to CFO Magazine, worldwide 80% of sales organisations regularly miss their forecast, despite sales reps and managers alike spending half-a-day a week on it. And it doesn’t stop at forecasting. A lack of insight can also play to the detriment of our overall sales performance, the way we manage the team or training & recruitment requirements, to name a few. It’s true that in the last year, businesses have rushed to jump on the data bandwagon. A McKinsey study found that 53% of high performing sales organisations rated themselves as effective users of sales analytics. So perhaps the issue is not with the access to data but with analysing the wrong kind of data. What’s key is not only the accuracy and accessibility of the data – but what is being measured. There is a critical question to be asked, then: are sales leaders gathering the data that’s actually the most valuable for understanding and improving their sales performance? Going back to what we were discussing at the beginning of the post, it’s not uncommon to get wrapped up in the slippery slope of counting sales activity as a means to prove the effectiveness of our sales team. But this approach can only give us a very limited view into the success rate of our process and workforce. If we’re busy counting number of activities alone, chances are we’re missing the opportunity of tying revenue attainment to correlating pattern of behaviour. For instance, “I made 80 calls today” would be a measure of sales activity. By contrast, “I made a call during the ‘golden calling hour’, when call connect rates are much higher, and spoke to a senior executive for over ten minutes” would be an example of a high- value sales behaviour. And which of those statements tells us more about the effectiveness of that particular action? Clearly, this kind of behaviour drives a much higher quality of sales outcome. Understanding and tracking these metrics can therefore enable sales leaders to more accurately evaluate the sales pipeline, as deals can be assessed against these indicators of success, as well as where they are to date. As a result, sales leaders appreciate the value of leading KPIs. These measurements span the entire breadth of the sales process and provide some insight as to what determines success, marking the best salespeople out. Success ultimately depends on the behaviours of your sales team and that factor can and should be measured. Data availability and data usefulness don’t always go hand in hand. The sheer volume of what’s measureable can sometimes be daunting, creating a data overload that’s too much to leverage for the average organisation. 1. Baseline behaviours: Watch and learn from your top sellers. Create a roadmap of what it takes to close a deal so you can build your coaching and training from proven metrics of success. 2. Work out the right cadence: Are you running fast enough to hit your targets? If not, what are the bottlenecks? Insight into your sales process compared to your team’s behaviours should give you an idea of what may be delaying the process, which areas are the most troublesome and what sort of training is necessary to improve performance. 3. Create a data mindset: It shouldn’t be left to managers to collect and make sense of sales data. Reps should also be encouraged to adopt a scientific, data-led approach to selling so that every decision they make is backed up and not supported by ‘gut-feel’. Sales doesn’t have to depend on guesswork. With the right data, you can create accurate forecasts, measure meaningful KPIs and improve the team’s performance – and as a result, drive your business to success in the digital age. Top sales leaders reveal how they use data to increase sales performance. Discover the results of our recent survey in the paper below.